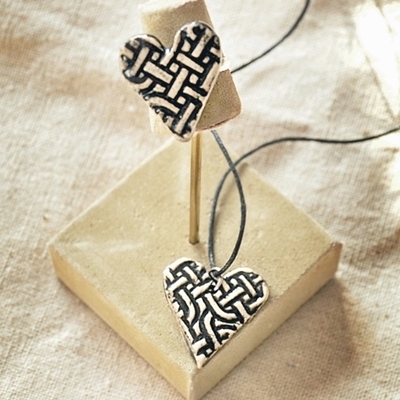 A nice take on a heart design, with a lacy flower texture. 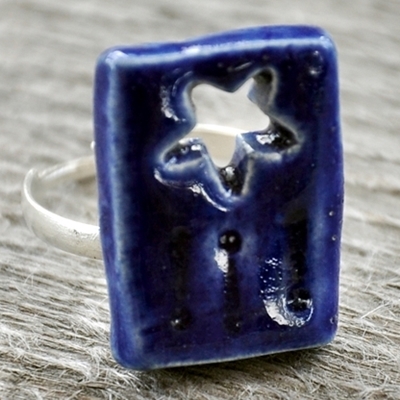 This ring is made from stoneware with oxides and glazes in delft blue, country blue, with a strawberry red accent in the flower centre. Lends a nice feminine touch to a casual or business outfit. It would look sharp with denim. 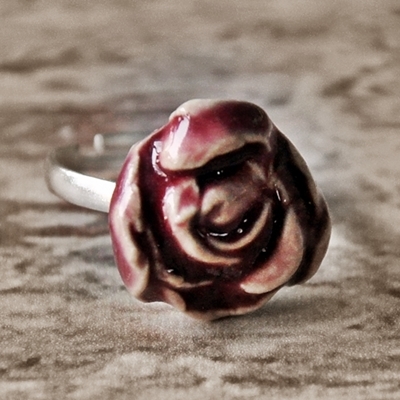 The cabochon piece is firmly glued onto the ring band and will not pull off. Measures 3/4″ (1.9 cm) across. Ring band has an silver plated finish with adjustable size. 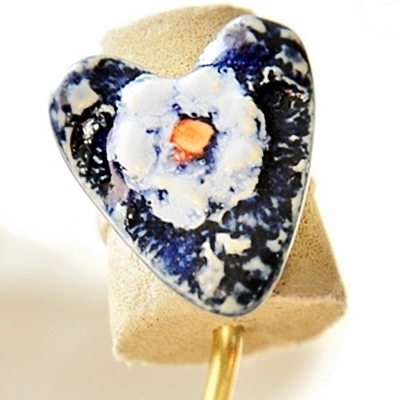 One of a kind glazed spiral stoneware ring. Casual, fun Boho style. Measures 1.25″ across. Ring band has an antique bronze finish with adjustable size. 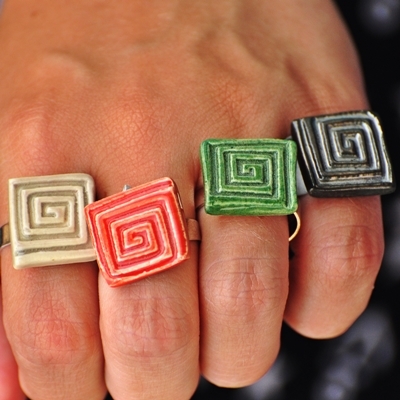 Squarish Greek Key rings available in the colors shown, or special order in another color. Made from glazed stoneware. The pottery is firmly glued onto the ring pad. 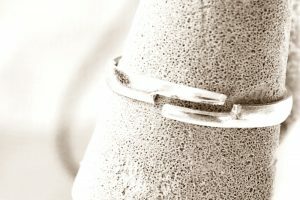 Band is silver toned and attractive. 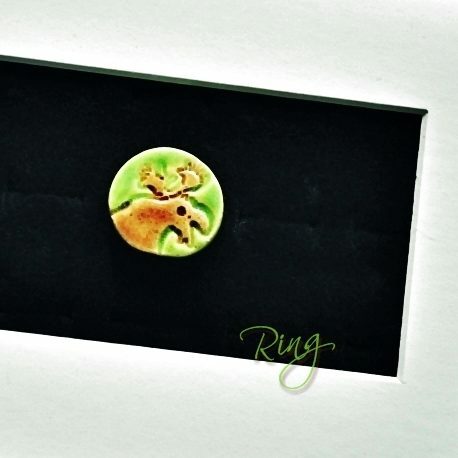 This Marvelous Moose chunky ceramic ring is great fun to wear. It has been glazed in Spring Green and brown and kiln fired to mid range. It measures 1-1/8″ (2.86 cm) across. 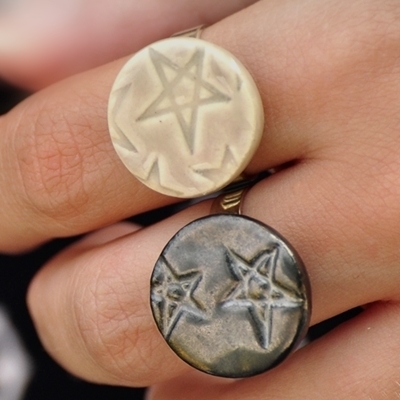 The ring part has an antique bronze finish with adjustable sizing. 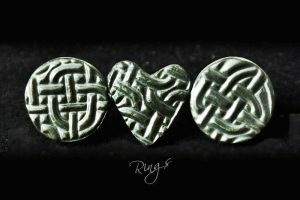 A nice take on a heart design, with a Celtic knot texture. 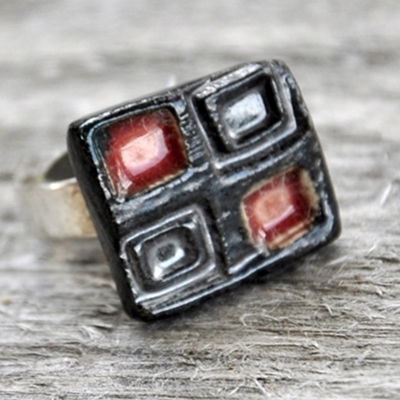 This glazed stoneware ring is available in metallic matte black finish or Strawberry Red gloss glaze. 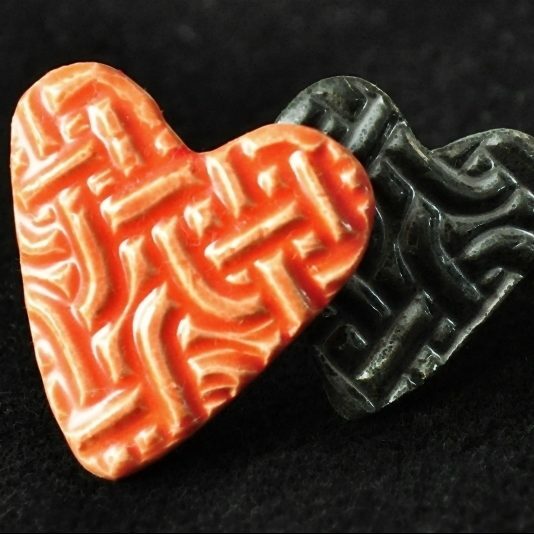 Black measures 3/4″ (1.9 cm) across: Red measures 1″ (2.54 cm) across. 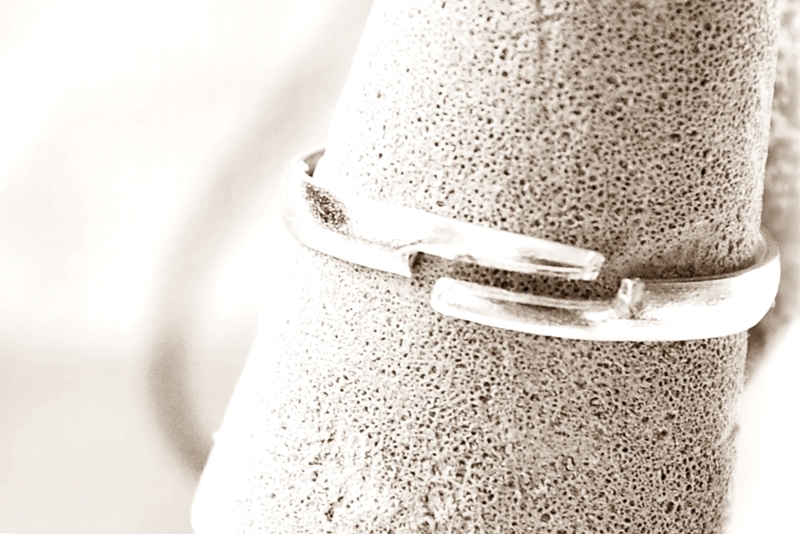 Ring band has an silver plated finish with adjustable size. 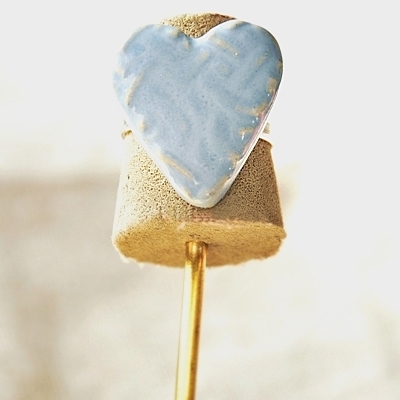 A simple country blue glazed heart shaped ring. 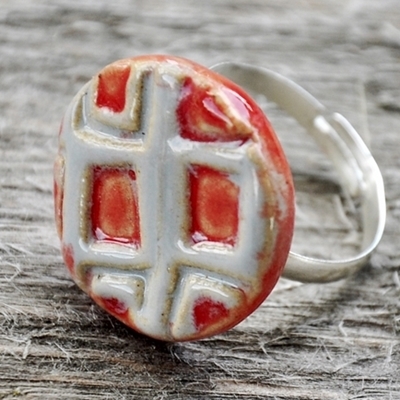 The ring cabochon is made of glazed stoneware and is firmly glued onto a silver plated ring band.